Here are some pots that fit our Rumford fireplaces, organized by the size of the Rumford so you don't have to waste time sifting through pots that are too small or too large. For pictures and dimensions click on the groups below. Superior Clay manufactures many pots which you can see in their Chimney Pot Gallery. Call 360 385 9974 if you need prices on any besides the ones below. 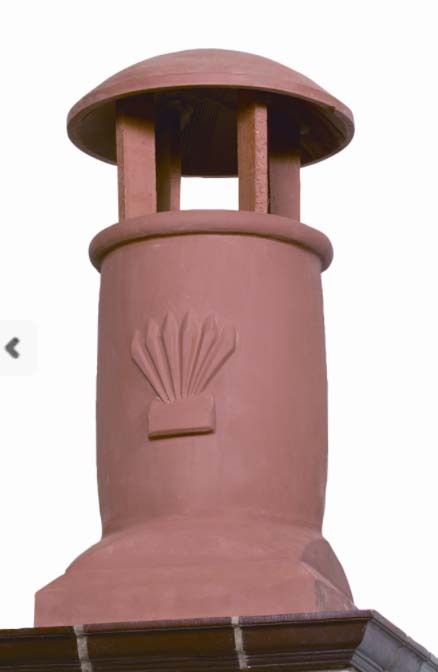 Many sizes, round, octangonal or rectangular, to fit any chimney pot or any flue. Prices above by size group.